Join us for a fun filled evening of festive dining, indulgent cocktails and dancing to the sounds of the DJ at A Glistening White Christmas Party. Whether you're celebrating with friends, family or colleagues we have the festive celebration to suit your party, your pocket and your date. 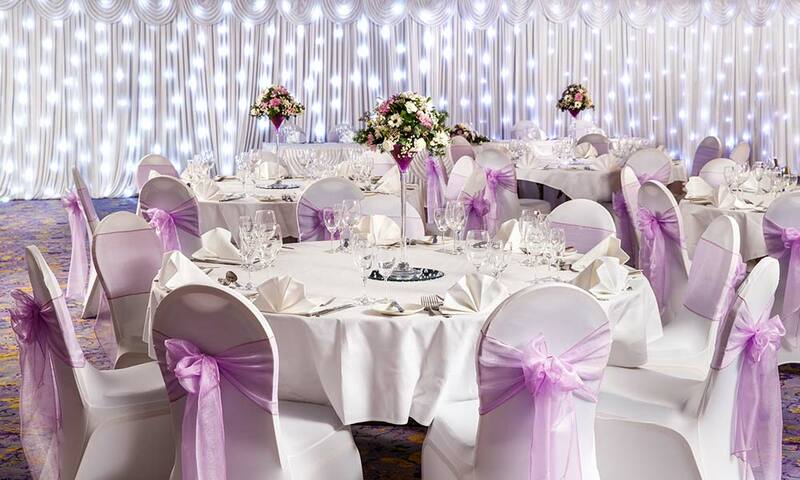 From intimate party lunches, mid-week festive celebrations, full-on glitz and glamour party nights, or even an after party in January, Mercure have it all. 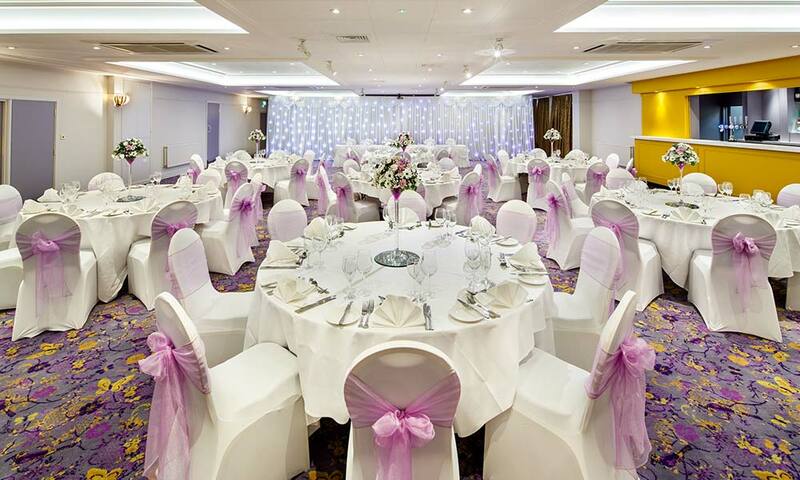 If you are interested in hiring this venue for an exclusive Christmas please submit an enquiry or call us on 0203 967 69 67. All prices are per person. Dates are subject to availability at the time of booking. If you are a business you will initially pay the consumer price (inclusing VAT) and then reclaim the VAT, therefore your company will have only paid the business price in the end. 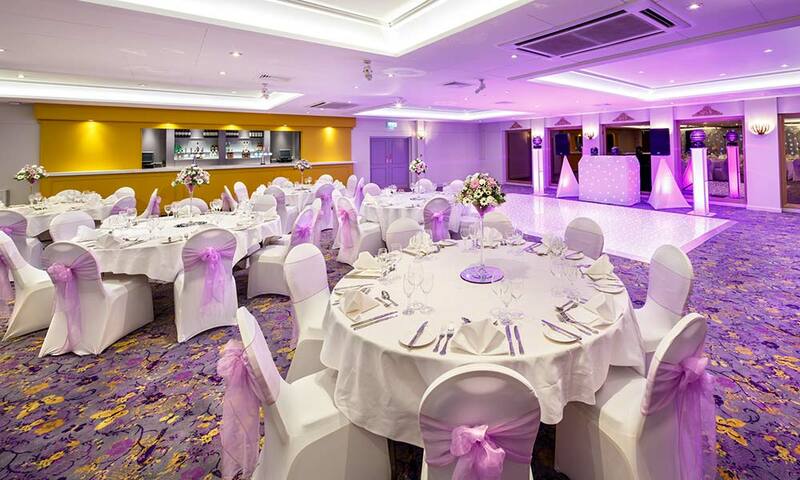 The 4* Mercure London Watford Hotel has unveiled the newly refurbished Halliwell Suite, a glamorous and locally inspired new look events space, ideal for celebrating special occasions such as birthdays, weddings and our Glistening White Christmas parties. 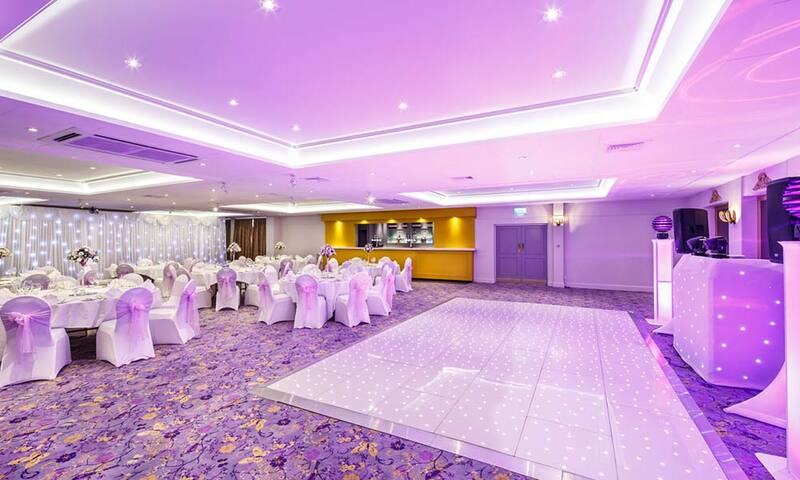 The suite, which holds up to 200 guests for an event, features its own private entrance, a fully-serviced bar, a large dance floor and air conditioning. 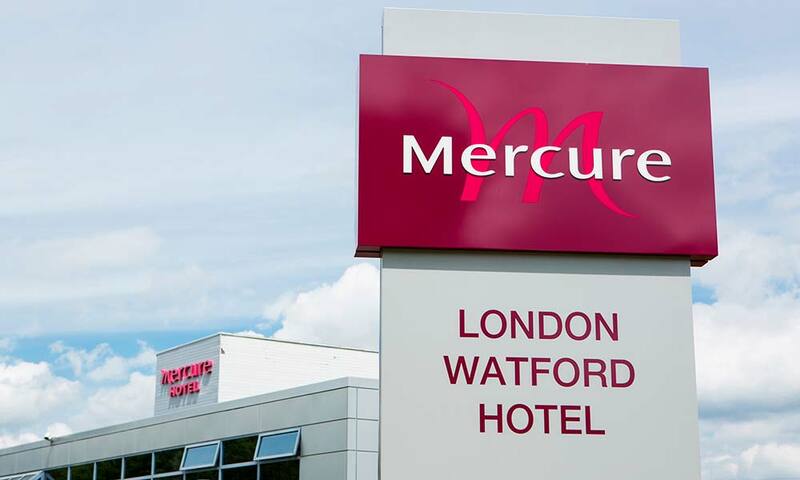 The Mercure London Watford Hotel is situated near to Watford city centre and is an ideal base to explore St Albans, Hertfordshire or the nearby Warner Bros. Studio Tour London. Getting to the hotel could not be easier with great transport links to motorways such as the M1, M25 & M40 and airports all within 20 miles. 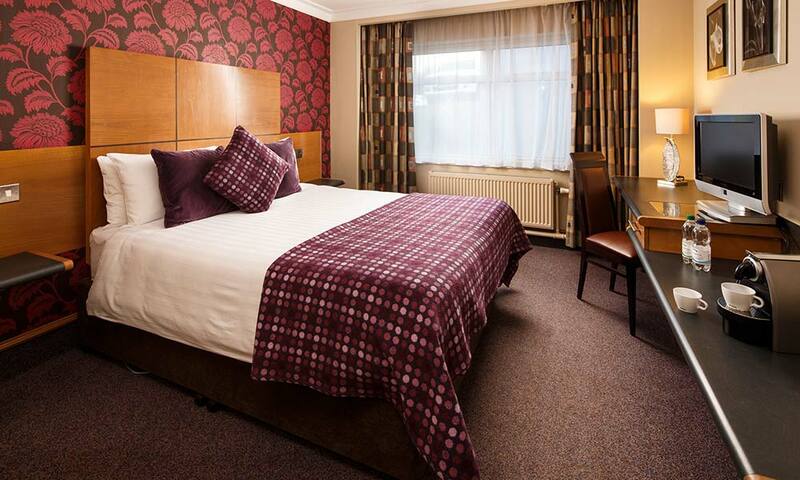 There is also access into London with Watford Junction Station within 2 miles. 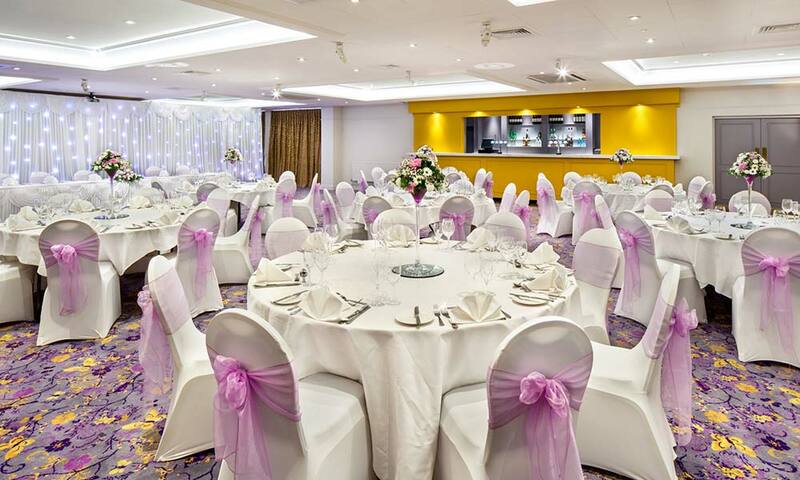 The hotel boasts 218 contemporary bedrooms, a stylish Bar & Brasserie offering a stylish modern cuisine and a Feel Good Health Club featuring a heated indoor swimming pool and spa facilities. From the M1 Continue on A414. At the roundabout, take the exit onto the A41 slip road to C.London/Harrow/Watford (South), Merge onto Otterspool Way/N Western Ave/A41, Merge onto Otterspool Way/N Western Ave/A41, the hotel is on the left hand side. Car parking on site for 350 cars. Cars must be registered at reception on the screens provided. When staying overnight car parking is free when booked directly with the hotel.